Summer Wahoo Fishing Miami Fl heats up about half way through the Summer Wahoo Fishing Miami Fl Summer and peaks at the beginning of the Fall. As the full moon in late July or early August approaches, Wahoo find their way to edge of the reef and western edge of the Gulf Stream. Tunny Tuna will be in full migration along the deep reefs off South Florida Wahoo will be right behind them. Smaller wahoo are feed ing on the same pray fish as the Tunas. While the Larger Wahoo are feeding on the Tunny Tunas. 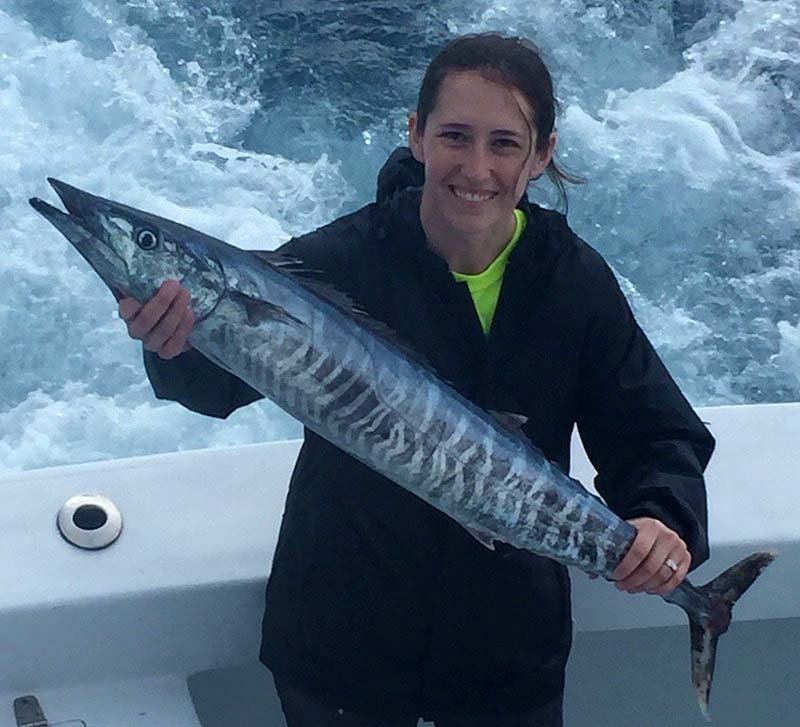 Summer Wahoo Fishing Miami Fl is just a lot of fun for our guests and a Wahoo is always a welcome guest aboard the Spellbound. We catch most of our Wahoo trolling and like speeds from about 6 knots to over 12 knots. The speed is directly related to the baits or lures we are pulling. 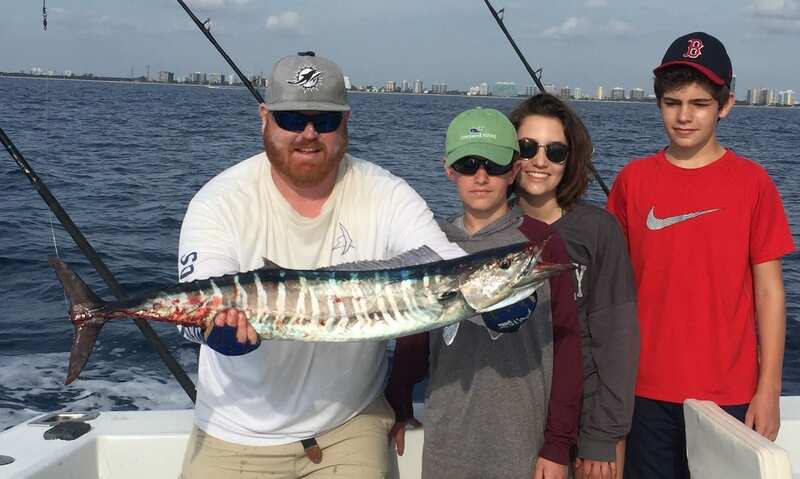 Summer Wahoo Fishing Miami Fl Kids and WahooOther effective baits are double hooked Ballyhoo, Islander Lures and Drone spoons. We will use planers to get some of the baits down deeper in the water column while other baits ride right on the surface. 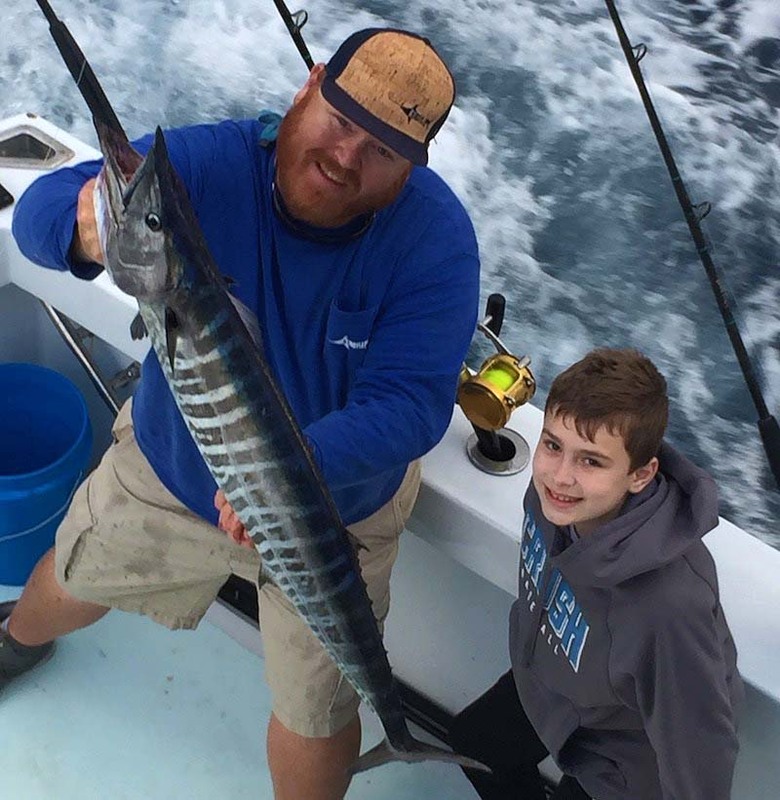 We also offer great Summer Wahoo Fishing Miami Fl for kids fishing trips, Shark Fishing charters, Offshore Wahoo Tuna and Mahi trips, Swordfish, Sailfish fishing trips, Bottom fishing for Snapper & Grouper and any other custom fishing charters to fit you and your groups needs. If you are just two people or Ten or more we have the perfect fishing trip for you. We are located in the Haulover Park Marina, just minuets to the deep water and fishing grounds ! 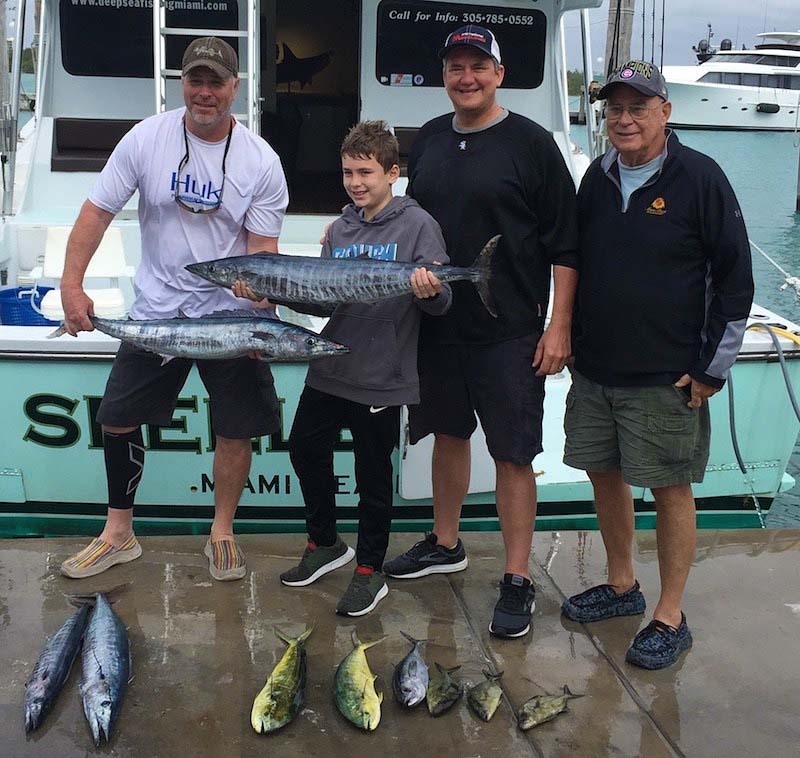 We also offer kids fishing trips, Shark Fishing trips, Offshore Wahoo Tuna and Mahi trips, Swordfish, Sailfish fishing trips, Bottom fishing for Snapper & Grouper and any other custom fishing trip to fit your needs. If you are just two people or Ten or more we have the perfect fishing trip for you. We are located in the Haulover Park Marina, just minutes to the deep water and fishing grounds ! Capt. Jay owns and operates the Miami fishing charter Capt. Jay’s Deep Sea Fishing. Capt. Jay has fished Miami for more than 40 years and holds several I.G.F.A world records and has won multiple tournaments, including the METT tournament and the fun fish boat in the Miami Billfish tournament. Capt. Jay discovered a new species of tilefish and had the honor of naming the fish (Bahama Tiger Tilefish).